It is Mahamrityunjaya fom of Lord Shiva. 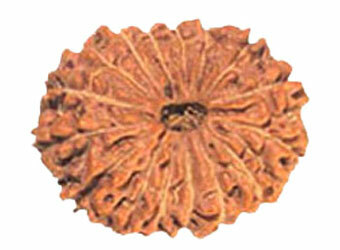 Fifteen Face Rudraksha is a Mahamrityunjaya fom of Lord Shiva. This is a form of Mahaka. The wearer becomes fearless & gets victory against the most fearsome of diseases and adverse circumstances. A home in which this rudraksha is kept is free from thefts, fire and accidents. It protects from physical illness due to placement of planets. IF one has fear of loss of a loved one or fear of loss of name and fame or loss of faith in oneself or fear of death, Then one should wear the Mahamrityunjaya rudraksha which is 16 mukhi. 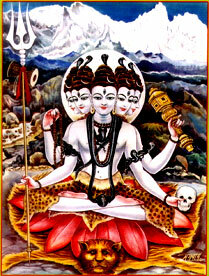 Mahakal is fearsome form of Lord Shiva which He assumed when Sati burned herself in fire. Even Yama the Lord of Death turns back from the wearer of this rudraksha.